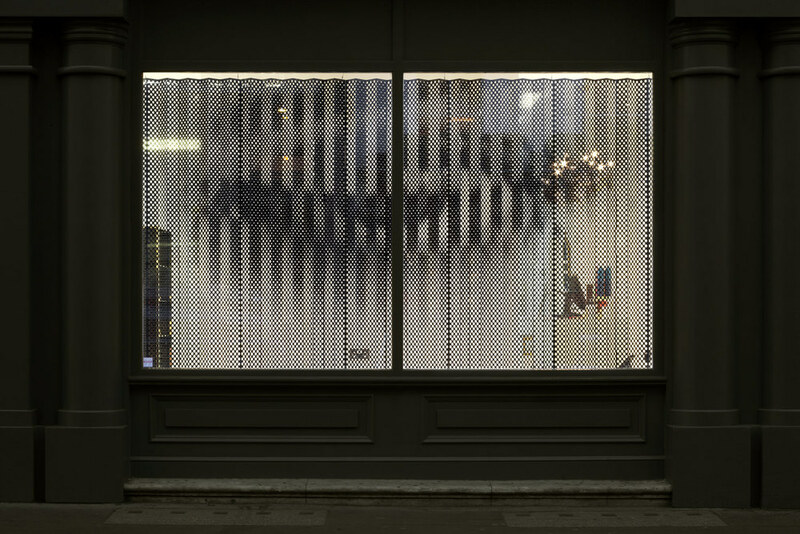 Wink was a pop-up installation for the launch of Lilly Allen’s vintage store, Lucy in Disguise in Covent Garden. A flirtatious screen responds to shoppers as they pass. 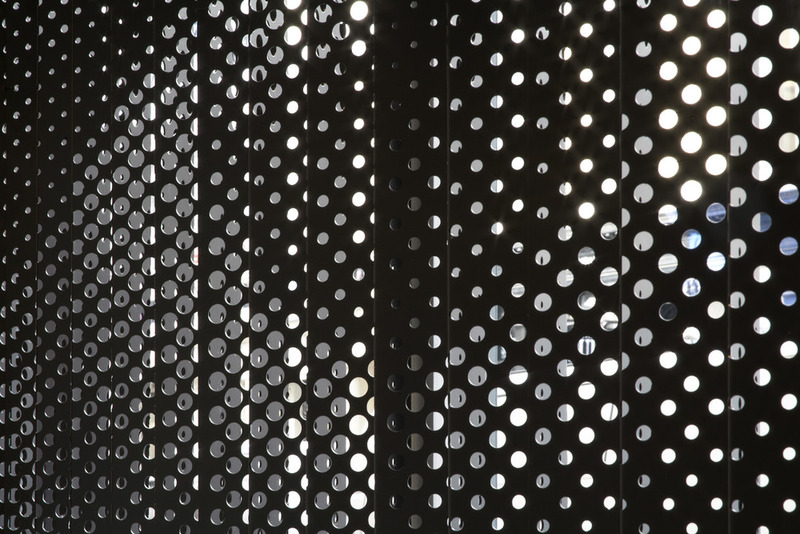 A digitally perforated black steel concertina screen is cut with two halftone images resolved from opposite sides of the window, affording glimpses of the vintage treasures within the store. From one side it appears as an open eye, from the other it is closed . The action of walking passed causes the screen to wink at shoppers. The project, completed in 2010 with the help of Hirsch&Mann and Nic Newton.